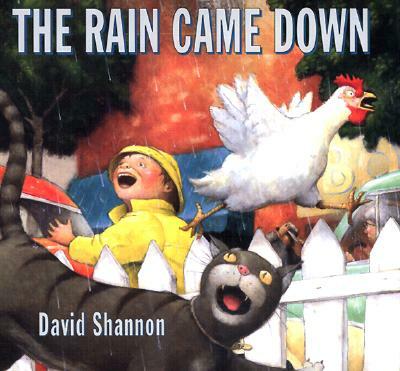 This is a great book about a busy little town where everyone is out and about when a torrential rainstorm hits. It stops everyone's plans and keeps them from their normally busy routines. While the little town is effected by the rain, it makes a great point for little readers...when its raining stay inside. Because everything is crazy when it rains, the cars, the stores the people...so it's best to stay indoors until the rain is gone and everything returns to normal. In our house we have introduced a rainy day activity bucket (looks a little familiar doesn't it?) Inside are clouds that I cut out of sturdy felt from my local craft store. 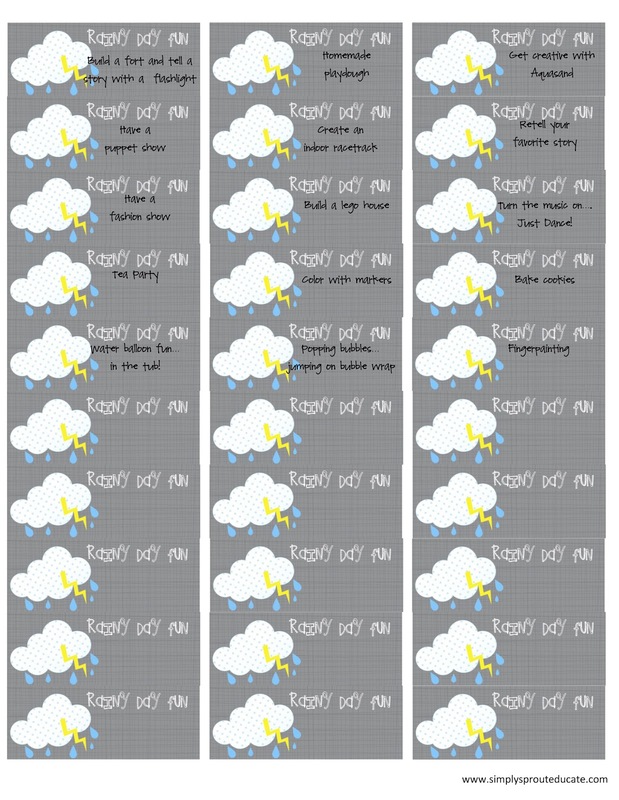 On each cloud is a label with an activity that is just for a rainy afternoon. I keep a few special types of activities on hand that are just for those rainy afternoons like aqua sand, markers, and homemade playdough, just to name a few. 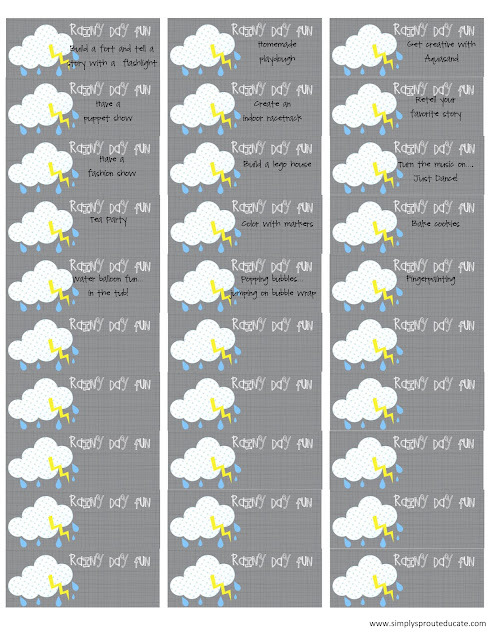 You can use these labels below and print them to attach to your clouds or just print them, on carsdstock and cut out as is. A few are left blank so you can add some ideas of your own. 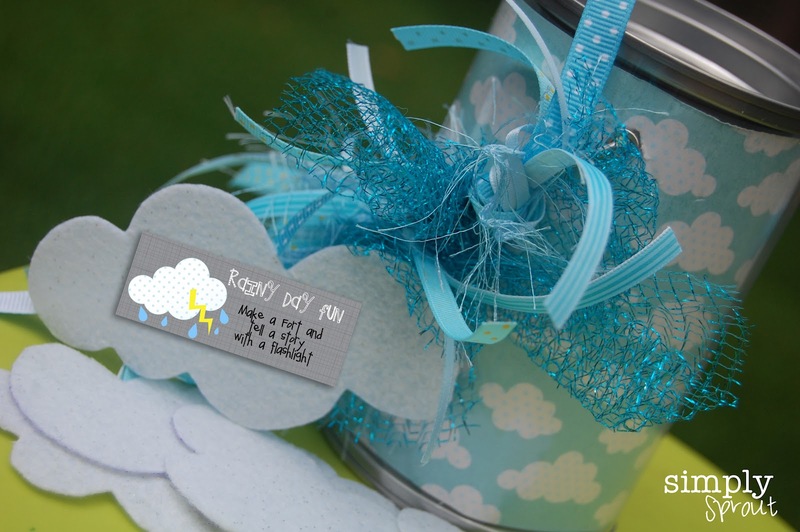 Having a rainy day activity bucket on hand is great for those stormy afternoons. My daughter gets so excited now when she starts to hear the rumbling of thunder. She can't wait to see what type of activity she will get to do. Today she pulled out a fun one that I was a little nervous about...but it sure was a lot of fun! We had an indoor water balloon fight ( in the shower of course). I blew up all the water balloons and filled them with water. We put a stopper over the drain and filled up the shower floor with water and Mr. Bubble. I added the water balloons and the kids went to town, at first they would chase them all over the shower floor as they squiggled out of their hands, then they would try to throw them into a bucket I put in the shower...I only had three rules, once they popped they gave it immediately to me ( so my little one wouldn't choke on any pieces), no water balloons in the mouth ( for the same reason), and Have a great time! I must say the kids had a blast, before I knew it the thunderstorms were over and my kids were squeaky clean! What fun things do you do to keep your little ones occupied and distracted as those dark clouds roll in?